We have an eternal void that can only be filled in Christ. The world around us can’t satisfy us. We exhaust ourselves trying to shove worldly possessions and achievements in the God sized hole in our heart. When we take good things and make them ultimate things, we set ourselves up to feel discontent. Simply put, if we seek our contentment in anything other than Christ, we will never live the life God promised, a life Fulfilled. The deep longing each of us has to be fulfilled is a symptom of a heart that is disconnected from God. 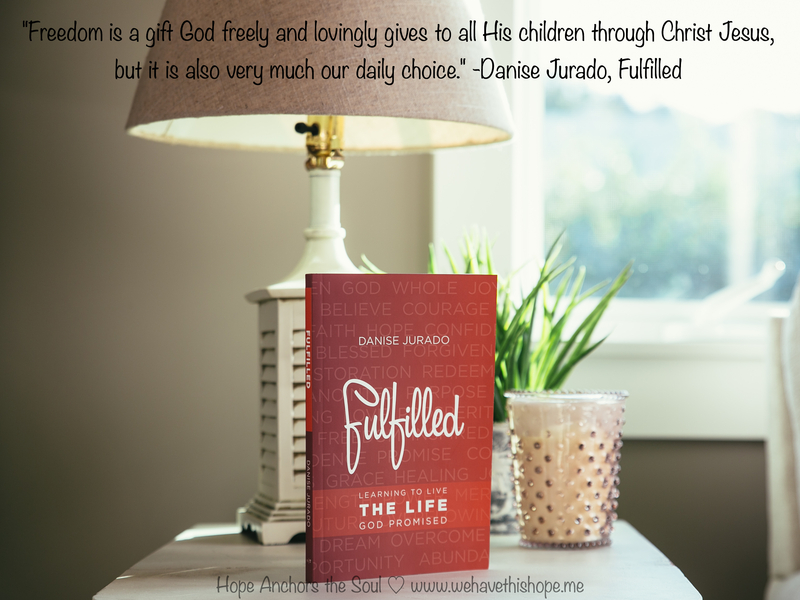 As I was reading through Danise Jurado’s new book, “Fulfilled: Learning to Live the Life God Promised,” I was immeasurably blessed by how beautifully each chapter drove home the truth that our biggest need has already been fulfilled in Christ. The first two chapters entitled “Forgiveness” and “Restoration” brought me to tears on more than one occasion. This past November I came to know the Lord, and finally found my identity in Christ. The years leading up to my salvation had been rough ones. In receiving God’s grace, I realized I had to make peace with painful experiences from my past, and forgive those who had wronged or hurt me. It’s been almost a year and I can honestly say that I haven’t looked back. We counter a discontent heart with God’s promises and truth. 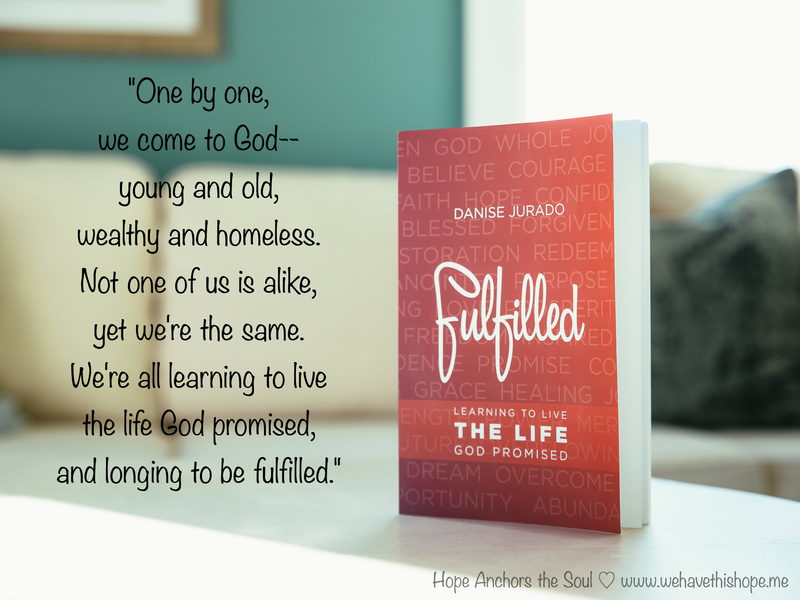 Throughout the book, Danise shares both personal stories and practical applications to help readers identify sin in their lives and learn to live the life God promised. Her transparency in sharing makes it easy to relate. Quite often, I found myself thinking, “ME TOO!” And, I’ve already started to incorporate some of the practical steps she gives in order to fill my personal needs with God’s Truth. We must chose freedom in Christ. 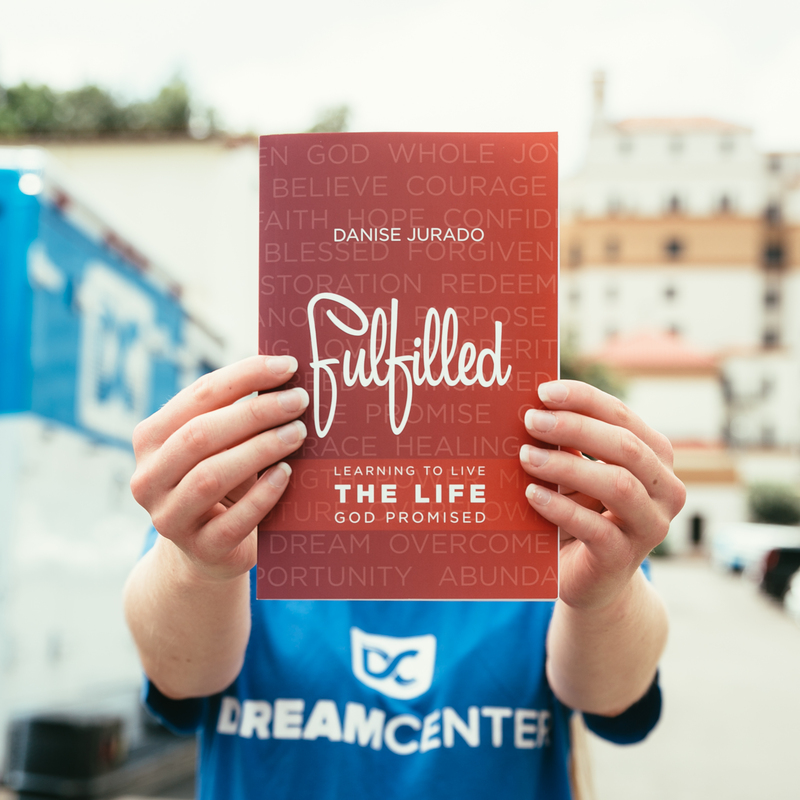 When we learn to live a life fulfilled in Christ, we awaken our complete God given potential. We find Contentment. Freedom. Restoration. Hope. Courage. If you have ever felt like you needed some positive change in your life, or have tried to change but were unsuccessful, then this is definitely the book for you! With 119 pages and 13 chapters, Fulfilled book is an easy read for the avid reader like me, as well as those who rarely pick up a book. The official release date is August 25th (one short week away), but you can pre-order on Amazon HERE. 50% of the net proceeds are being donated to LA Dream Center, where Danise has served as Director of the Transitions Program and as a Pastoral Counselor since 2001. INTERESTED IN WINNING A SIGNED COPY OF FULFILLED? Comment below before EOD Tuesday, August 25th to register to win. I will announce the winner, here, Wednesday, August 26th! 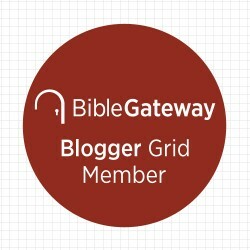 Update: CONGRATULATIONS TO KRISTINE THE FULFILLED BOOK GIVEAWAY WINNER! Interested in learning more and staying connected with Danise? Special thanks to Danise Jurado and Kaitlyn Bouchillon for the graphics and for giving me the opportunity to review my first book. It was an honor to preview this awesome work God breathed through you, Danise. Two BIG thumbs up! Previous PostDon’t QuitNext PostHow long, O God? Beautiful review, sweet Tina. I loved reading how far God has brought you in such a short time. And I am glad to hear that you have already been able to incorporate some of the teaching from Fulfilled into your life. It really was such an amazing book! Thank you for sharing your thoughts about the book. It sounds wonderful. Can’t wait to read it! I’d love to read this book. My budget is low, so praying! Blessings! It’s really a great book. You will be immensely blessed!